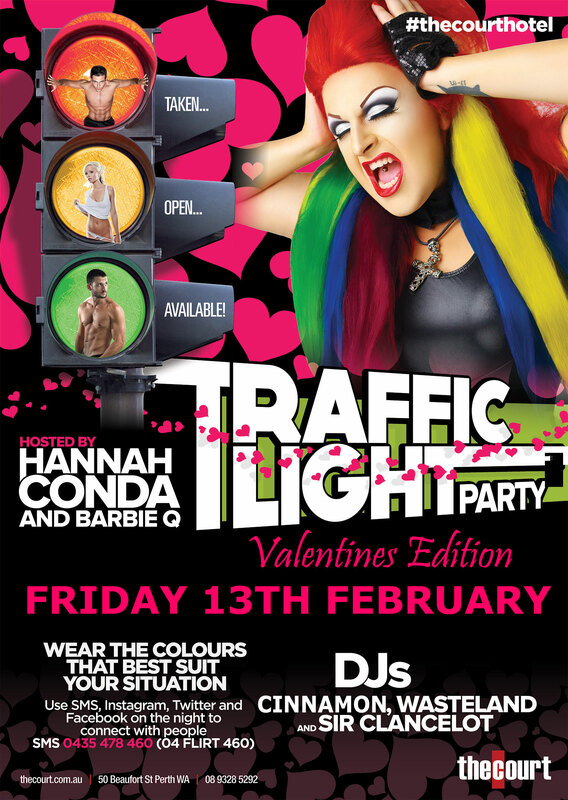 In honour of St Valentine, the Court Hotel is holding one of its (in)famous Traffic Light Parties this evening. 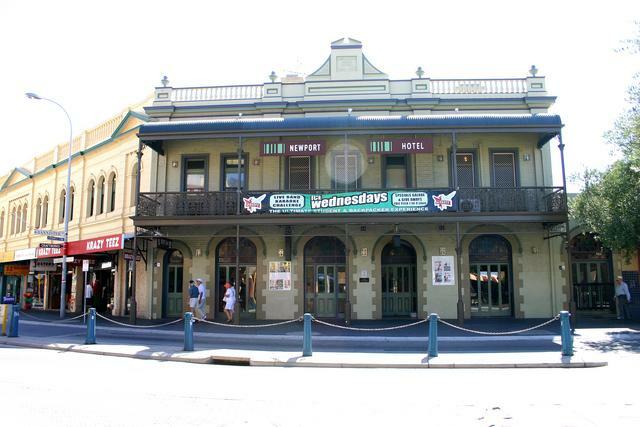 If you haven’t been to one before, Dodgy Perth can assure you of a great night out. The event will be hosted by two of the Court’s regular queens, Hannah Conda and Barbie Q. Which leads to today’s historical problem: When did drag first come to Perth? It is impossible to know who was the first local man to dress in women’s clothes, since appearing in public meant almost certain arrest. As happened to South Belmont resident Richard Moyes in 1949. Richard was only spared jail by agreeing to see a psychiatrist. Stewart Hobbs of East Cannington was not so lucky the following year, when he was sentenced to fourteen days for wearing a dress. But men will be men (or women in this case), and in 1953 The Mirror was shocked to discover that suburban houses were hosting Drag Nights. Because the innocent readers of The Mirror wouldn’t have a clue about the jargon of “the effeminates”, the newspaper helpfully defined ‘drag’. It meant having an elaborate wig, painted and rouged face, expensive frock and dainty underwear, brassiere with padding, silk stockings and high heeled shoes. The paper had been tipped off by a man who ‘accidentally’ (yeah, right) attended one of these drag nights. All the guests were men, and there was plenty of hard liquor and hot jazz and dancing. Especially dancing. Most regrettable of all was that the queens were intelligent men, who held respectable jobs during the day. The Mirror’s informant fled when one of the ‘synthetic sirens’ asked: “Have a dance with me please, darling.” So, unfortunately, the reader is unable to discover exactly what kind of debauchery took place later that evening. However, the paper suggested that it might have involved a mock religious marriage ceremony. Or it might not, since no one saw anything of the sort. Jazz. Dancing. Liquor. Drag queens. In Perth? Where was the strong arm of the law to sort things out? And especially important, where was our invite?